The block size issue has split the community. Do we need bigger blocks? Does bitcoin need to become an everyday global payment mechanism, or does it serve well enough as a form of more expensive, but private and secure money? Should the size of the blocks be increased immediately, or not before every block is full? Should the size be increased from 1 to 20 MB, or is it better to raise it gradually? 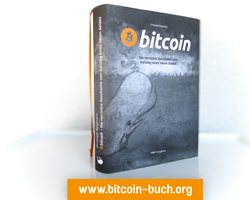 The German bitcoin scene appears to agree in its views on the matter. Back in February I ran a survey about the block size debate. 301 readers participated, of whom 161 voted for Gavin Andresen’s proposal to raise the block size to 20 MB. Only 73 voted against it. 67 didn’t have a clear opinion, perhaps because they didn’t fully understand all the technological implications. However, the outcome of the survey leaves no doubt: an absolute majority supports bigger blocks. The block size debate shines a light on a very specific kind of democracy. The ones who implement larger blocks in the protocol will naturally be the core devs (while everyone could build his own version of bitcoin core, it’s unlikely that many would have a chance of surviving). The implications of bigger blocks are more uncertain than many people think. On the one hand, the network needs larger blocks to process a higher number of transactions. With 1 MB blocks the mainstream use of bitcoin is absolutely impossible. On the other hand, those who run the bitcoin client will need more hard disk space and higher bandwidth when blocks are larger. It may be impossible to run a node from areas with a weak internet connection, as is the case in parts of the Third World. Perhaps more dangerous are the risks of the hard fork that will be required to raise the block size. A hard fork may result in two bitcoins: one with small blocks, one with large blocks. The compatibilities and economies of a two-bitcoin-system are complex and threaten to make bitcoin even less understandable – and more volatile – than it is today. A smooth hardfork without damage is only possible if a clear majority of those who can decide which bitcoin should live agree. But who is it who will decide? First come the miners. Only if they update to the new version will the larger blocks be incorporated in the blockchain. If no miner accepts the new version with bigger blocks, it will be a stillborn child. But if some miners agree to bigger blogs, and some miners refuse the new client, we will see a future with two versions of bitcoin. At this point, everyone who runs a node (bitcoin core) will have a ballot to cast. To update or not to update, that will be the question. Those who use light wallets like Electrum, Multibit, Mycelium and so on will have no voice. The same applies to those who simply use bitcoin for speculation, sending it only from one exchange to another. They will have to follow the decisions of the developers of wallets and exchanges. Anyway, a bitcoin – whether it’s the old version with small blocks or the new one with large blocks – that is not accepted by payment providers, shops, wallets and exchanges will probably lose its value. For this reasons it’s critically important what the bitcoin industry thinks about the block size issue, not simply developers. I asked some German bitcoin companies for their opinions. Not an easy question. I think we will follow the majority. In principle I support an increase of the block size, because I think bitcoin will only be able to become broadly accepted if the network is able to process a critical number of transactions. But I also understand the arguments of the critics. Our knee-jerk reaction is: yes, bigger is better. But we are not developers and don’t want to second-guess the issue in its entirety. At best, innovation and scalability proceed in step. In my view it’s necessary and important to raise the block size. The current limit of 7 transactions per second won’t be enough to make bitcoin a widely-used payment network. We at Genesis Mining have been asked many times about our view on this topic. As Bitcoin enthusiasts we share Satoshi Nakamoto’s original vision of Bitcoin as a global payment network. Therefore, we believe that an increase of the block size limit is important and we are in support of Gavin Andresen’s suggestion to increase the size to 20 MB (or to use a dynamic algorithm to adapt the block size). We also think that a growing bitcoin network is in the best interests of our customers, as a greater number of transactions will ultimately produce a higher revenues from fees. The above is our private view. As Genesis Mining, we will represent the view of our clients. So, it seems that not only the grassroots bitcoin scene in Germany but also bitcoin companies will support a hard fork for larger blocks. It just seems to be an change that’s necessary for bitcoin to handle any upcoming mainstream adoption. But doubtless, no company will risk harming its business by holding out for bigger blocks – they will follow the majority.